When the future looks dark, courageous kids bring light and hope into the world. 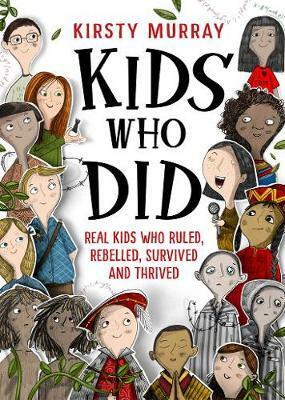 From outback Australia to Auschwitz, Kids Who Did is packed with true stories about inspiring children who have saved lives, changed history, defied expectations, and fought to survive war and oppression; here are stories of feral kids, fearless kids, Olympic champions, human-rights-crusaders, climate change activists, princes and prisoners, workers and whiz-kids. From the distant past to the present moment, Kids Who Did shows kids making their mark on history; and now they’re set to change the world.